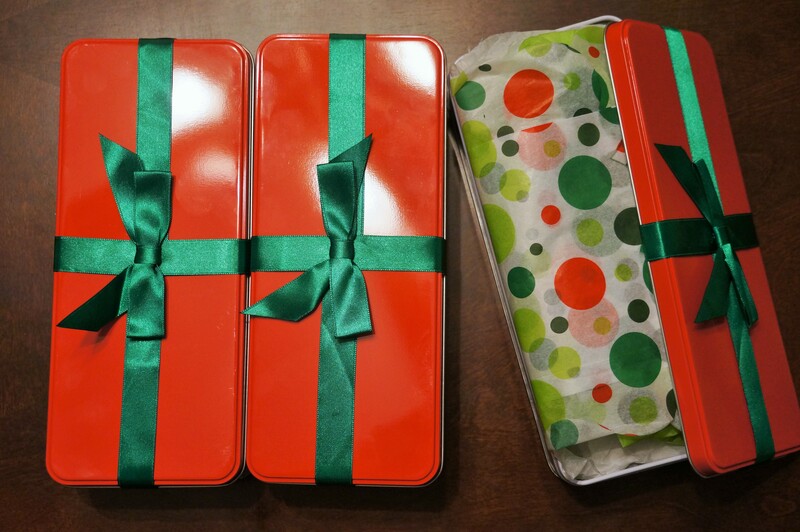 The night I decided to make my cookies, I unexpectedly got a package from OXO – a brand sponsor of the swap – with 3 of their new silicone spatulas. While I wasn’t initially excited for spatulas (I have plenty), it was a good chance to put them to the test and I was surprised how much I liked them. Instead of having a handle and separate head, which is what I’m used to, they are one piece until halfway up the handle so food doesn’t get stuck between the handle and head. I also liked that they were a bit stiffer which was perfect for this thick cookie dough. I’ll definitely keep an eye out for them next time I need to buy new ones. 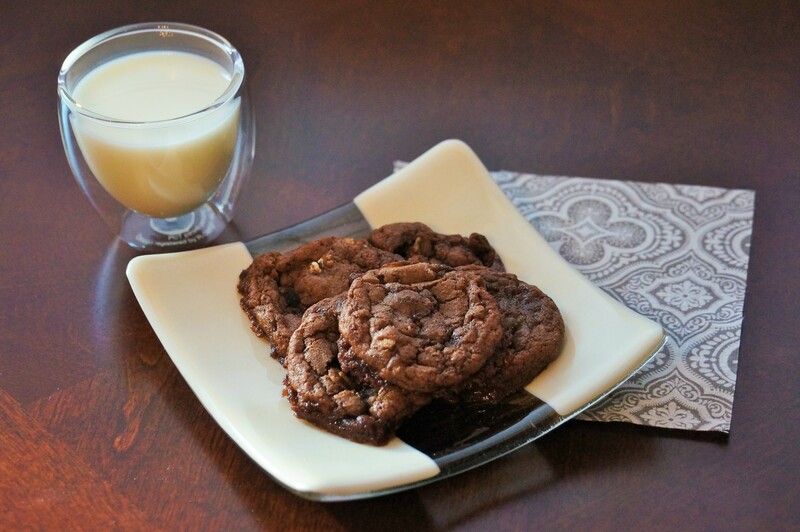 The first version of these cookies was made by stirring in the caramels, but they tended to melt and spread over the cookie sheet if they were on the edge of the cookies. Pressing them into the scooped cookies allows them to stay away from the very edges so the cookies are more uniform. Preheat oven to 375F (or wait until dough is chilling). Melt butter and 6oz chocolate chips in a double boiler. When chocolate is melted, stir in an additional 2oz until smooth. Set aside to cool. Combine dry ingredients (flour through salt) in a large mixing bowl. In a separate bowl, beat the eggs and vanilla. 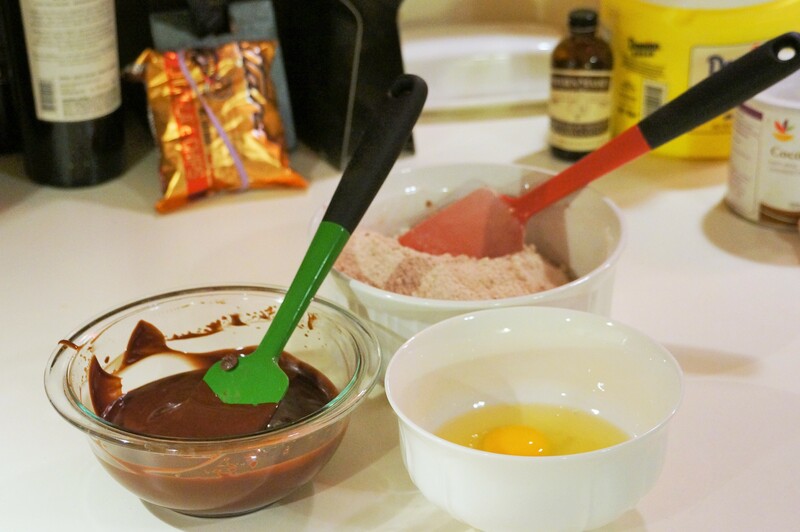 When chocolate has cooled, add the eggs and vanilla, then stir into the dry ingredients until well combined. Mix in remaining 4oz of chocolate chips. Chill the dough for at least 45 minutes. Scoop the dough onto parchment lined baking sheets and press in pieces of caramel. Bake for 8-10 minutes. Cool on the tray for 5 minutes, then remove the parchment paper to a rack to cool completely. This entry was posted in Desserts and tagged caramel, cardamom, chocolate, cookie. Bookmark the permalink. Love the dark color of chocolate, I bet it must tasty! I will definitely give a try to this recipe.